There was a carnival atmosphere in London’s Trafalgar Square early yesterday afternoon, but it didn’t last for long. As part of the Trades Union Congress (TUC) organised anti-cuts demonstration in the capital, thousands had gathered to ‘March for the Alternative’. Children were dancing to the sound of samba drums and policemen were smiling and chatting among themselves. Not all groups, however, came for what the TUC had billed as a ‘family event’. As a crowd of between 250,000 to 400,000 moved slowly from the Victoria Embankment towards Hyde Park, a large splinter demonstration broke off in another direction. It was a group made up of those usually cast in the media as ‘anarchists’ or the 'Black Bloc' – rule breakers with little interest in establishment approved methods of protest. Carrying red and black flags, they walked through the streets with no predefined destination or plan. Some armed with smoke bombs and paint balls, their main intention seemed to be to outsmart the police at any and every opportunity. It started out as a game of cat and mouse. Running from street to street, chanting and generally causing a spectacle. Tourists and shoppers looked bewildered on Oxford Street as the group, many with their faces covered, some wearing yellow helmets, marched down the road chanting about “Tory scum” and “class war”. The police tried to keep up, but the anarchists managed to stay one step ahead by shifting direction at times almost spontaneously. Their leaderless structure seemed to confuse the police who, at least early in the day, appeared to have been caught entirely off guard. What started as a game, though, quickly became much more serious. The first sign that things were about to get ugly was at around 3pm, when there was a scuffle between protesters and a police Further Intelligence Team, who were trying to film for surveillance purposes. Moments later a riot van was attacked and spraypainted and events quickly began to spiral. The women’s lingerie shop Ann Summers had its window smashed and was left daubed with graffiti saying “fight sexism”. A member of the shop’s staff stood outside, inspecting the damage. Her face was pale with shock. What followed was a series of events that ended in several violent confrontations with the police. Banks accused of tax-avoidance, Lloyds TSB and Santander, were paintbombed and had their windows smashed. Then, not long after the group had been chanting “1, 2, 3, 4, escalate the class war”, the five-star Ritz Hotel had metal poles thrown through its windows. Like the poll tax riot of 1990, the wealthy had themselves become an explicit target. Running through prosperous Mayfair with police helicopters hovering above, a Porsche garage had its windows broken. At one point an affluent looking gentleman hauled his children inside his townhouse and slammed the door shut. Neither he nor his children’s safety was at risk, but the fact that he seemed to feel threatened spoke volumes. Somewhere on Davies Street in Mayfair, a policeman named Inspector Wood was trailing one of the splinter groups while speaking to a colleague on his radio. “They've had a pop at us already,” he said, “so we're well up for it." It wasn’t long before he got his opportunity. In several chaotic incidents between Oxford Circus and Piccadilly, police became increasingly aggressive. Using their shields as weapons, they forced back anyone who got in their way. One middle-aged woman was hit across the face at force with an officer’s shield and I was dealt a blow in the chest as I tried to record a video. Attempting to show my press card I was shoved backwards and tripped over the pavement, held upright only by the crowds behind me. “I don’t care!” one of the officers shouted back in my direction. The worst was still to come. As darkness fell, there was an air of lethargy among the protestors, who had now convened at Piccadilly Circus. Marshmallows were being toasted on burning placards and there were a few drunks dancing round the fire. Eventually there was movement. A group shuffled down towards Regent Street and others sharply followed. Suddenly there was a confrontation with the police. Black-clad riot officers wielding shields and batons emerged and objects were thrown towards them. The police had blocked off Regent Street and this caused animosity. “Whose streets? Our streets!” the protesters chanted. The police tried to push people back. It wasn’t just the anarchists now, but various other stragglers including some who appeared to have just tagged along to see what the noise was all about. I was forced down a dark side street as the police attempted to form a kettle and immediately sensed danger. Several of the riot police, who had their faces covered with black masks, could be seen lashing out with their batons. There was an occasional yelp of pain as the police lunged forward and shouted in unison, “MOVE!” I noticed couples in a nearby restaurant looking out at the scene over a glass of wine, watching as if it was all some kind of twisted reality television show. Suddenly, and without warning, the police charged forward into a sprint. I tried to pull myself into a doorway in the hope that they would run right past me – but I never made it in time. Before I knew it a line of police were right behind me and swinging their truncheons. I glanced back just in time to catch the eyes of one of them, his face hidden by his mask, truncheon held in the air. There was a moment of sheer panic and total fear. I turned again to run and felt a thud and a sharp pain ripple across my back – then again … and again … and again. A young woman was on the ground and people were scrambling over the top of her to escape from the police. I was trying to run but couldn’t move because of the crowds. Eventually I managed to get away, sprinting until I was clear of the police. At the top of the street I fell to my knees, my whole body shaking, my back throbbing with pain. I spoke to others, many of whom had also been beaten as they tried to flee. One girl in her early twenties lay crying against a concrete pillar in a state of shock. I checked the street for CCTV cameras – there was none in sight. I tried to question police about the incident, but was fobbed off. None of them claimed to have seen what happened and even told me they doubted my version of events. “Take it to the IPCC [Independent Police Complaints Commission],” I was told dismissively. Today, like after the student protests last year, the focus and the debate has been on the trouble and the troublemakers. The scenes at Regent Street later spread to Trafalgar Square, and the natural impulse of most people has been to jump to the defence of police officers. They have a hard job, ultimately, and when people are smashing up banks and throwing paint and other projectiles all day, surely a few baton charges here and there is to be expected. In reality it is far more complicated. From what I seen yesterday, police tactics seemed to directly antagonise protesters and inflame violence. 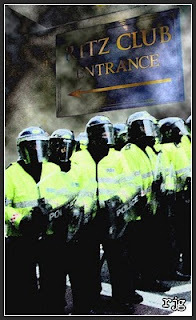 The rigid dichotomy between police and protesters (particularly 'anarchists') is a false one. There are protesters who are trouble just as there are also policemen who are trouble. Like Inspector Wood, whom I overheard telling a colleague he was “up for it”, there are officers who like a scuffle; they enjoy the thrill of chasing protesters through the streets and they may even be exhilarated by the prospect of violence. If a policeman hammers a woman across the face with his shield, it is likely some protesters will react by throwing a few objects in retaliation. If an innocent, law-abiding person is battered across the back and legs for being in the wrong place at the wrong time, he or she will begin to question the legitimacy of police authority. Until the police and the wider public realise this and respond accordingly, we will continue to see scenes like we did yesterday at every single large demonstration. Many of this morning’s newspapers are unsurprisingly filled with moral indignation at yesterday’s scenes. The Telegraph describes “mobs of masked thugs” and Scotland Yard Commander Bob Broadhurst is widely quoted condemning “mindless yobbery”. But this lacks balance and misrepresents the perpetrators. The targeted acts of disruption and property damage were carried out and cheered on by large numbers of (predominantly) young people who appear to be both politically engaged and intelligent. However you judge their actions, bear in mind first that they are responding in such a way because they feel detached, alienated and disenfranchised from a society and a political system that to them appears unjust, unequal, broken and hopeless. When the police attack protesters, it only reinforces this sense of isolation and injustice. For every baton charge, for every shield across the face, the anger deepens. What I observed on the streets of London yesterday reaffirms a belief I have held since I witnessed similar scenes in Edinburgh during the G8 protests six years ago: that there is simply not enough independent scrutiny of police tactics and the mainstream media are far too quick to uncritically adopt the perspective of the authorities. In the months ahead there will no doubt be more unrest on the streets of London. The anger is yet to peak – youth unemployment is at its highest ever recorded level and the cuts are still to fully bite. Unless the police are subject to the same criticism and scrutiny as are the protesters, next time there is a similar protest more windows will be broken and the police will continue to issue out indiscriminate beatings down dark side streets when they think no one is watching. This is something that should give us all cause for concern. We must remember, after all, that it is the role of the police in any democratic society to serve, not to subjugate. Earlier this month American president Barack Obama openly reneged on two important issues. First came the announcement that legal trials at US prison camp Guantanamo Bay would recommence. And then, just a few days later, followed Obama's statement that the widely condemned treatment of Bradley Manning, the soldier accused of leaking classified files to WikiLeaks, was "appropriate and meeting our basic standards". On his rise to power in 2008, Obama spoke out against the treatment of prisoners at Guantanamo Bay and vowed to close the prison. Within hours of becoming president he put a halt to the (now resumed) legal trials taking place at the camp, during which the US military acts as both judge and jury. He also pledged to protect government whistleblowers, and spoke passionately about the need for a "common humanity" and a "new era of peace" in his inauguration speech . Obama’s transformation since then has been remarkable. Through the course his two-year tenure so far, five suspected government whistleblowers have been charged on suspicion of leaking classified information – more than under the respective terms of republican presidents Reagan, Nixon and both George Bushes combined. Before Obama came to power, the US government had only filed similar charges on three occasions in 40 years. Aside from declaring what Pentagon Papers leaker Daniel Ellsberg has described as a “war on whistleblowers”, Obama has also escalated military action in Afghanistan and sanctioned clandestine bombings in Pakistan and Yemen. And while Guantanamo remains open and its trials get back underway, his government continues to allow “extraordinary rendition”, a practice – again condemned by Obama prior to his election – that involves the secret CIA abduction of terror suspects who are transferred to prisons in countries with questionable human rights records. Part of Obama's massive original appeal in 2008 was that he appeared to be a man of liberal principle. In his book, Dreams of My Father , he portrayed his younger self as a pot-smoking, humble intellectual who entered into politics from community activism. It was natural at the time to want to believe he was different; after eight years of war and draconian civil liberties crackdowns under the presidency of George W. Bush, Obama’s talk of “hope” and “change” was a welcome tonic. But as is now obvious: we were gullible and naive to fall blindly for his rhetoric. In London recently, Hillary Clinton’s senior advisor on innovation, Alec Ross, spoke at the London School of Economics . His lecture was in many ways a reflection of the Obama presidency. It was stylishly delivered and punctuated with idealism – though so devoid of substance it was almost chilling. Such unwillingness to tackle the ugly realities of American political life has been a defining feature of Obama’s two years in office to date. Supporters of Obama point to his criticism of China's human rights record and refusal to oppose gay marriage – both of which are undeniably commendable. But the president needs to do much more. There was a sense three years ago that Obama represented a whole new dawn for America and perhaps even the world. Today his apparent reluctance to stick to previously advocated principles has left many feeling empty and betrayed. 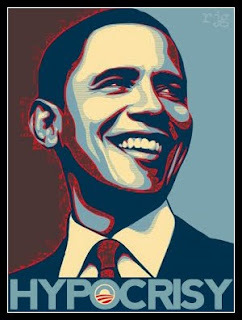 Giving his second State of the Union address in January, Obama spoke of how America “supports the democratic aspirations of all people.” No amount of grand speeches, however, can alter the paradox of his country's present position as both advocate and adversary of democracy. The imprisonment and punitive treatment of whistleblowers; trial under military jury at Guantanamo; and the sanctioning of extraordinary rendition – these are not policies in line with any notion of democracy, no matter how skewed. 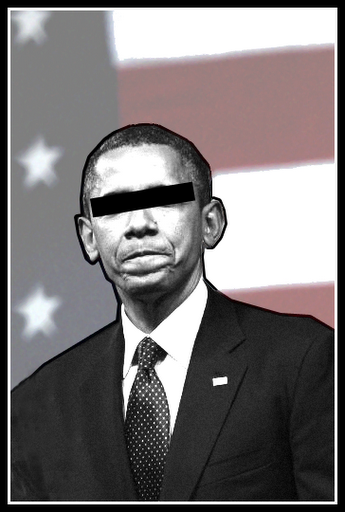 The problem is that Obama has become just another large cog in the same machine he set out to dismantle. Which is why when he speaks it is difficult to hear anything other than broken promises and backtracking. He will undoubtedly go down in history as one of the great orators, but it is actions, not words, that will rightly define his legacy. Irrespective of how many times Obama promises a “change agenda”, the uncomfortable truth is that so far he has failed dramatically to deliver. Earlier this week, the soldier accused of leaking thousands of confidential documents to WikiLeaks, Bradley Manning, was handed an additional 22 charges as part of his ongoing court martial process. The 23-year-old, who has been in solitary confinement for more than seven months, stands accused of computer fraud, theft of public records and willfully communicating classified information to a person not entitled to receive it. He now also finds himself faced with a rare charge known as "aiding the enemy" – a capital offence for which he could face the death penalty. The revelation will no doubt have come as a blow to Manning, although given his ongoing treatment it is likely he already feared the worst. Made to endure strict conditions under a prevention of injury order against the advice of military psychiatrists, he is treated like no other prisoner at the 250-capacity Quantico Brig detention facility in Virginia. Despite that he is yet to be convicted of any crime, for the past 218 consecutive days he has been made to live in a cell 6ft wide and 12ft long, without contact with any other detainees. He is not allowed to exercise or have personal effects in his cell, and for the one hour each day he is allowed free he is taken to an empty room where he is allowed to walk, but not run. One of the few people to have visited Manning, David House, spoke yesterday of how he had witnessed his friend go from a "bright-eyed intelligent young man" to someone who at times has appeared "catatonic" with "very high difficulty carrying on day to day conversation". House drew similarities with the case of Bobby Dellelo, an American prisoner who developed psychosis after a lengthy period in solitary confinement conditions similar to Manning's. "For me this has been like watching a really good friend succumb to an illness or something," he said. 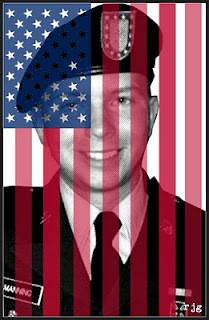 "I think that Bradley Manning is being punished this way because the US government wants him to crack ahead of his trial." While there has been widespread and well publicised condemnation of issues surrounding Manning's detainment, his conditions have failed to improve. In fact, things may have got worse, not better, for the Oklahoma-born soldier who is incidentally entitled to UK citizenship through his Welsh mother. Just two days ago, for instance, only 24 hours after having been told he now faces a capital charge, Manning was made to strip naked in his cell for no apparent reason. According to David Coombs, Manning's lawyer, the soldier was then left without clothes for seven hours. When the wake-up call sounded for the detainees at 5am, in an act of forced humiliation, Manning was made to stand naked at the front of his cell. The incident, described as "inexcusable and without justification" by Coombs, is symbolic of the entire twisted saga: a gross injustice on a nauseating scale. We must bear in mind, of course, that Manning allegedly leaked military files because he, according to unverified internet chat logs, saw wrongdoing and had no other course of action because his superiors told him they "didn't want to hear any of it". He did not want to be complicit in war crimes, and felt that by leaking the files he could prompt "worldwide discussion, debates, and reforms".